This one is shaping up to be a classic and it has all the hallmarks of being a tight game. This is an Istanbul derby, it is a game between the fifth and sixth placed teams in Group E and both teams have a 3-6 record going into the game. There is not a lot between these teams and of course, they are very familiar with each other in domestic games, so there may be very few surprises in this game. The hosts have improved their defensive performances of late, and this will provide the home team with a good bit of confidence going into this one. Players like Scottie Wilbekin, Jamon Gordon and Reggie Redding all need to step up and deliver a solid performance to provide their forward players with the platform that will allow them to push on. Semih Erden, Marcus Slaughter and Luke Harangody should all have a part to play in this game and it is shaping up to be a classic one in Istanbul this week. 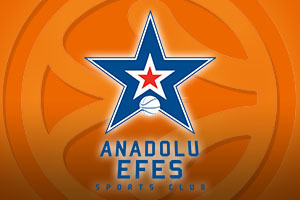 It has been a tough time for Efes of late having lost four games in a row. Add in the fact that Jon Diebler is likely to be absent for this one and you have a team that may be lacking in confidence or not quite feeling themselves. However, they have managed to overcome Darussafaka plenty of times in the past and the familiar feel of this game may give Efes the chance of getting back on track. Thomas Huertel has been in fine form for Efes this season and if he and Jayson Granger can get their act together, they may have a great chance of winning. 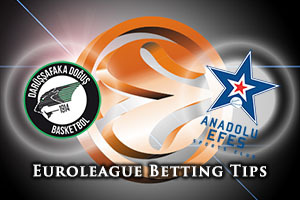 It should be a close one but the away team may just have the edge so taking Anadolu Efes Istanbul with a -2.5, at odds of 1.90. With the Over/Under market, look to go OVER 152.5 which you can find at odds of 1.90 in what could be a very tense and close night in Turkey. Bet Now!